Simply Smashing is a great way to describe this matched pair of Princess Cut White Sapphires. These are naturally mined stones that were both mined and cut in Sri Lanka from a family owned business. 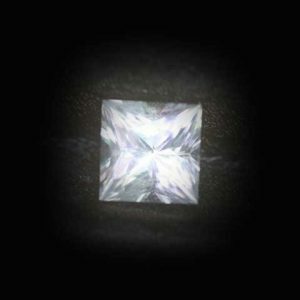 These stones are remarkable in their brilliance, cut and clarity. 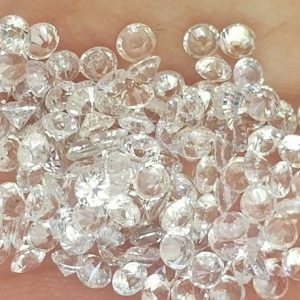 Although sapphires don’t have the refractive index (brilliance) that diamonds does, they are a beautiful natural substitute to such a costly competitor. 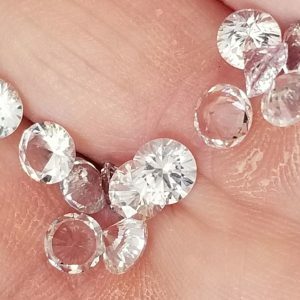 Price listed is for the matched pair of two stones. The actual stones are near colorless in appearance, with no noticeable tints, so please excuse the blue and black color in our photography.